No matter how careful you are or how much you pay attention to your phone, there are chances of it getting lost. If you own a expensive and high end smartphone, it’s bound to attract attention, even of the wrong kind. Even though newer Android phones have a remote lock and locate facility available, it might not work as intended, so it’s recommended to get a good Android device tracker app. You’ll find hundreds of such apps on the Google Play Store, but only a few of them really work well and are free, so here’s our list of the top 4 free Android device tracker apps! 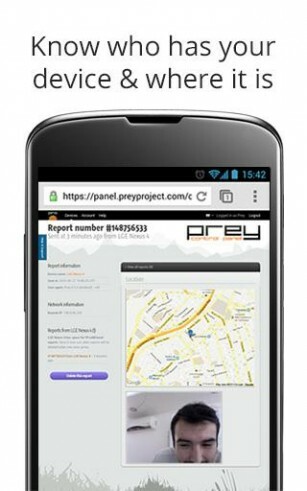 Not the most well known of apps, Prey Anti-Theft is quickly turning out to be one of our favorite Android tracker apps. Combining a great UI and easy to use functions, it should help you track down your phone in no time. Apart from the usual geolocation features, Prey Anti-Theft also takes pictures of the person/people your phone is with from both cameras, lets you display a custom message on the screen and plays a loud alarm sound when triggered even if the phone is on silent. The paid version unlocks even more features such as unlimited device tracking, reports and real time logs. Android Lost is one of the most recommended apps in the security category, and for good reason. 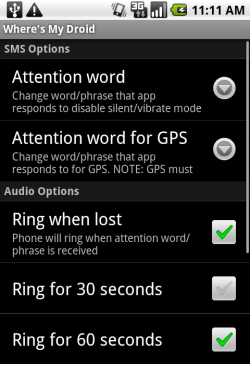 Once set up, you can control and locate your phone via a web portal or SMS. Features include remote location, data wiping, service start/stop, call list logs, alarms and much much more. Best part is, it’s completely free, so you don’t have to worry about paying to get the best features! One of the oldest Android device tracker apps on the market, Where’s My Droid is still going strong. The free version lets you locate your device, notifies on SIM change and keeps phone tracking active without draining battery. If you want to do stuff like remotely lock the phone or wipe data, you’ll have to get the Pro version. One of the best features in the Pro version is the ability to activate the app via landline, great if you can’t access another mobile phone. 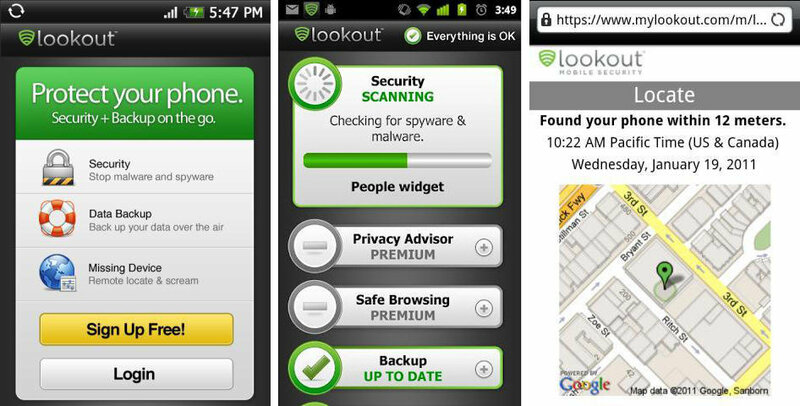 Lookout isn’t only a tracker app, it’s also an antivirus. So apart from standard location features, it takes pictures of the person using the phone and sends out a “Signal Flare” when the battery is low, plus saves the phones last location. The added ability to backup data is useful. More features like remote lock and erase come with the paid version, as well as additional backup and privacy control. Android’s built in device tracking service should do most of the time, but it’s always good to have a backup tracker app, just in case. Besides, Google’s service is very basic and if you’re looking for advanced remote control features, you’re better off with a third party app such as one above. Have you ever lost an Android phone and recovered it? Do let us know your experiences and if you think other apps should be added to our list! Kapersky is also a nice app for securing and searching the lost Android device.